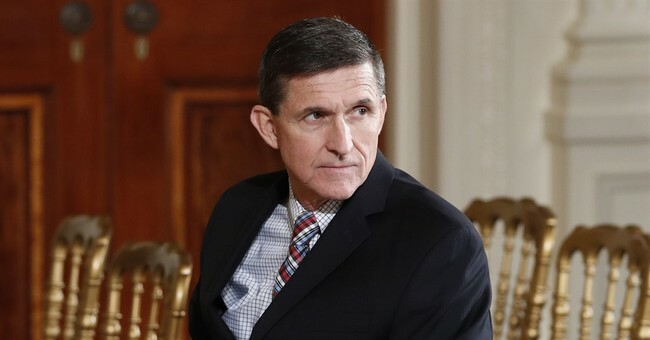 U.S. District Judge Emmet Sullivan is demanding prosecutors for Robert Mueller's Special Counsel explain a January 2017 meeting between then National Security Advisor Michael Flynn and a pair of FBI agents at the White House. One of those agents was Peter Strzok, who was fired this year for serious misconduct and political bias. He was sent by disgraced Deputy FBI Director Andrew McCabe and fired FBI Director James Comey. BREAKING: The judge in the Flynn case--the no-nonsense Judge Emmet Sullivan--is now demanding referenced docs (McCabe memo, FBI 302) related to that infamous Jan 24, 2017 interview w/Flynn. Also has ordered gov to turn over any OTHER docs related to that meeting--by Friday. U.S. District Judge Emmet G. Sullivan ordered Mueller late Wednesday to turn over all of the government's documents and "memoranda" related to Flynn's questioning. The extraordinary demand puts Mueller under the microscope, and sets a 3:00 p.m. EST Friday deadline for the special counsel's office to produce the sensitive FBI documents. Explaining why Flynn was not warned about the possible consequences of making false statements, one of the agents wrote in the 302 cited by Flynn's lawyers that FBI brass had "decided the agents would not warn Flynn that it was a crime to lie during an FBI interview because they wanted Flynn to be relaxed, and they were concerned that giving the warnings might adversely affect the rapport." So-called 302 reports are ostensibly contemporaneous accounts by agents of what is said during their interviews with witnesses and subjects, as well as other critical details like interviewees' demeanor and descriptions of where the interview took place. They are often critical pieces of evidence in false statements cases where, as in the Flynn case, the FBI typically does not audio- or video-record interviews. According to Flynn, McCabe told him not to bring a lawyer to the meeting and did not inform him that misstatements during the meeting could be used for prosecution. Strzok and the other FBI agent who interviewed Flynn in January, didn't file a proper report until August of 2017. This is against FBI protocol. During an interview with MSNBC over the weekend, Comey openly admitted that the way his deputies approached Flynn was out of the ordinary. Conservative radio host and attorney Mark Levin is arguing Flynn was set up. The Wall Street Journal editorial board agrees. If the goal was to set a legal trap, it worked. The two agents showed up at the White House within hours of Mr. McCabe’s call, and they reported in the 302 that General Flynn had been “relaxed and jocular” and “clearly saw the FBI agents as allies.” One of the agents was Peter Strzok, who is famous for his anti-Trump texts to his FBI paramour. Keep in mind the FBI’s counterintelligence probe into Russia and the Trump campaign was still secret. Mr. Flynn had done nothing wrong in conversing with the Russian ambassador—it was part of his job—and he had no reason to believe he was in legal jeopardy. President Trump is pleased the situation is being revisted. "The FBI said Michael Flynn, a general and a great person, they said he didn’t lie. And Mueller said, well, maybe he did. But now they are all having a big dispute. So I think it is a great thing that the judge is looking into that situation,” he said at the White House Thursday afternoon. Flynn, who pleaded guilty to lying to the FBI about a conversation that took place during the transition from the Obama administration to Trump, is set to be sentenced on Tuesday. His attorneys argue he should receive probation instead of prison time.